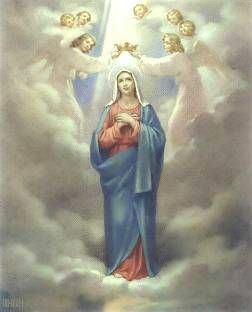 Virgin Mother of God, Mary Immaculate, I unite myself to you under your title of Our Lady of the Miraculous Medal. May this medal be for me a sure sign of your motherly affection and a constant reminder of my devotion to you. While wearing it, may I be blessed by your loving protection and preserved in the grace of your Son. Most powerful virgin, Mother of our Savior, keep me close to you every moment of my life so that like you I may live and act according to the teaching and example of Jesus. Keep me as your faithful child that I may follow your example throughout life and enjoy heaven forever with you. Amen. Immaculate Virgin Mary, mother of Jesus and my mother, I come to you with confidence in your powerful intercession, manifested through your Miraculous Medal. As your loving, trustful child I ask this favor... Obtain for me as well, a pure heart, that my entire life may give glory to God. Amen.